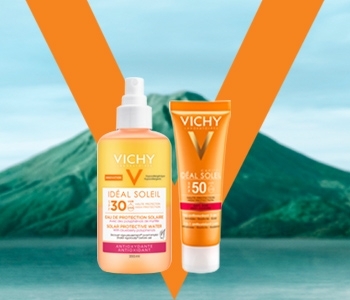 Keep your delicate facial skin protected in the sun with Vichy Face Sun Care SPF 50+. Vichy Suncare SPF 50 products offer your skin 50x more protection from the sun, making the collection perfect for those with especially sensitive or easily burned skin. A full range of products for both adults and children that are adapted to skin type and suitable for even the most sensitive skin. Every single part of your body will be fully protected from sun-induced skin damage.